It's that time of year again....the season of Utah peaches. I picked up a case yesterday and made this new recipe from my mother in law. Results...the name speaks for itself. YUM. Combine flour, sugar and salt in a bowl. Add butter and work into flour mixture with pastry knife until mixture looks like bread crumbs with a few pea-size pieces of butter. Sprinkle water evenly over the mixture, tossing with a fork until the dough comes together. (Begin with 4 T. and add more as needed.) Divide dough in half and let rest in the refrigerator for 10 minutes. Working on a floured surface, roll half the dough from the center out and transfer to pie pan. Roll out top crust to a thickness of 1/8 inch and at least 1-inch larger than the pie pan. Place peaches in large bowl. In a separate bowl combine the sugar, flour, nutmeg, and salt and stir to blend. Add dry ingredients to peaches and stir to evenly coat. Add lemon juice and stir to mix. 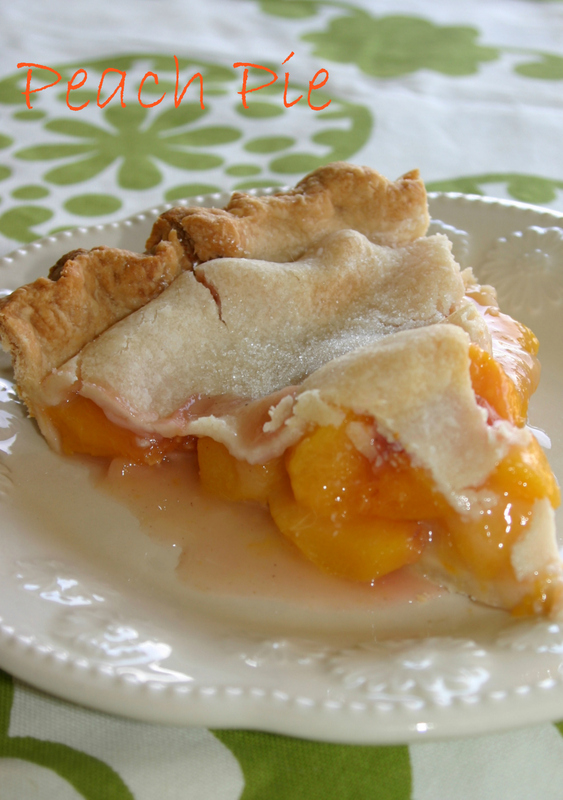 Mound peach filling into pie shell and dot with 2 T. butter. Place top crust over filling and firmly press crust together. Cut off excess crust and crimp and desired. Cut vents in crust. Bake for 10 minutes (at 400) and then reduce heat to 350 degrees and bake for an additional 50 minutes OR until the filling is bubbling up through the vents and the crust is golden brown. About 15 minutes before the pie is done, sprinkle the crust with 1 T. sugar. Let the pie rest for at least 25 minutes after baking to let the juices thicken. Serve warm, cold AND a la mode!!! *Note: the peaches I used were incredibly sweet already...if using less sweet peaches, maybe add about 1/3 c. more sugar. Also...watch pie closely...My oven cooks fast and I needed to add a crust shield and tinfoil on top (for 25 minutes of the baking)so the pie wouldn't brown too fast. Thank you Mom for this delish recipe!! !